DutchAmsterdam.com — The city of Amsterdam is phasing out 31 of its 198 cannabis cafes, or ‘coffeeshops’1, because they are located too close to high schools. One day we may properly edit and re-wwrite this article, but for now here’s the latest on Amsterdam’s coffeeshops. After much legal wrangling, a number of coffeeshops originally scheduled to close in January 2016 now are forced to close by January 1, 2017. The shops closing are: High Time, Lucifera in West, Space Mountain, Today, De Graal, De Kroon 3, Biba, and Mellow Yellow. Six shops are ‘temporarily’ allowed to stay open because the school they are ‘too close to’ — the Amsterdamsche School at Nieuwezijds Voorburgwal — is going to move elsewhere. If no other school will settle in the monumental buidling, Resin, Mediterrané, Utopia, De Kroon 2, De Kuil and El Guapo can remain in business. The City says there is a possibility that additional shops may open. 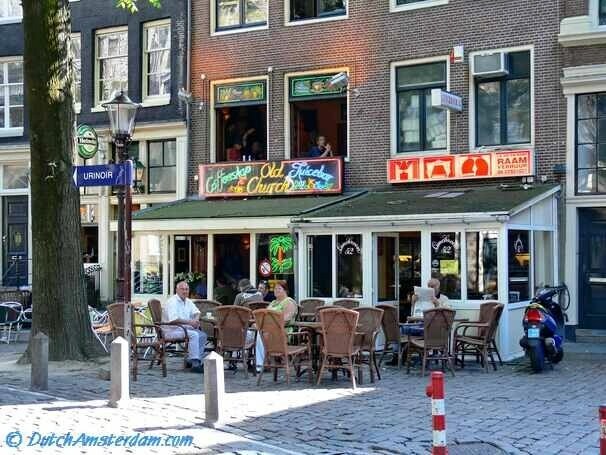 The Bonger Institute of Criminology, associated with the University of Amsterdam, last October published a report stating its conclusion that coffeeshops have become busier. The Institute advises that no further shops be closed. Many of the shops have had to forego their previously relaxed atmosphere in favor of practicality — with some removing tables and chairs in order to be able to serve the influx of clients. The 31 shops will not be closed all at once, but rather in three phases, with the last ones closing by January 1, 2016. Effective January 1, 2014, each of these shops may only be open for business between the hours of 6pm and 1 am (18:00 — 1:00). Update, October 30, 2015 The coffeeshops that were scheduled to close per January 1, 2016, will be allowed to remain open until at least June, 2016. The Municipality of Amsterdam wants to await a decision by the Supreme Court of the Netherlands (Dutch: Hoge Raad der Nederlanden) in a case brought by the Bond van Cannabis Detaillisten (BCD — the union of organized coffeeshop owners) regarding the controversial, nationwide ‘weed pass’ system. Amsterdam is not subject to this ‘membership’ system. 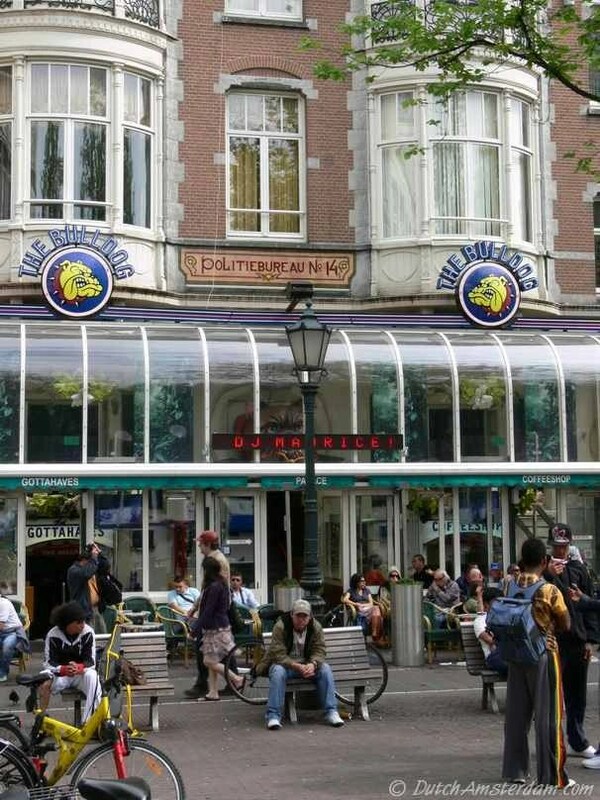 Update, December 18, 2013: Coffeeshops The Bulldog (Leidseplein), Rookies Bar (Korte Leidsedwarsstraat), and Get Down To it (Korte Leidsedwarsstraat) will have not to close after all. All three shops would have had to close by January 1, 2016, because they were said to be located within 250 meters of a high school — in this case the Barlaeus Gymnasium. But now the Municipality of Amsterdam says it inadvertently used the ‘wrong front door’ of the school as a reference point. This door is not used at all — and has not been used for many years. This means that 28 instead of 31 coffeeshops will be phased out. Henk de Vries, owner of The Bulldog, tells local news TV station AT5, “Obviously I’m very relieved, but I’m not very happy. Lots of colleagues will still have to close their doors. But I’m very happy for my staff, some of whom have worked here for years. 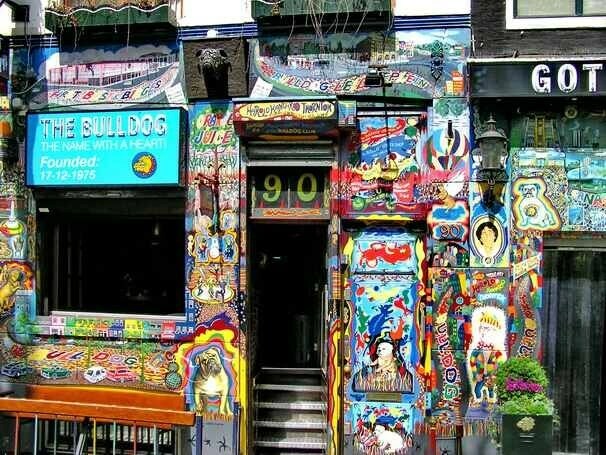 The iconic Bulldog coffeeshop at Leidseplein opened in 1985, inside a former police station (see last photo on this page). Why is the city closing these shops? As part of a national approach to discourage the use of soft drugs among high school students, the Netherlands’ Central Government has issued criteria regarding the minimum distance between coffeeshops and schools. Currently these shops may not be located within 250 meters walking distance of high schools. The Government wants to eventually raise this distance criterium to 350 meters. For instance, The Hague uses a distance requirement of 500 meters; Rotterdam, 200 — 250 meters; and Utrecht 250 meters. Overall, of the 104 Dutch municipalities with coffeeshops, 86 (83%) apply distance criteria — usually 250 meters. The city of Amsterdam opposes all distance requirements, in part because its own research shows it will not be effective as a preventative measure. The mayor and members of the city council are particularly opposed to the 350 meters criterion, since that would result in the closure of 6 out of 10 coffeeshops. If too many shops are forced to close, the trade in soft drugs will shift back to the streets — the very situation the toleration of these establishments is supposed to prevent. So why is Amsterdam closing down 31 shops anyway? 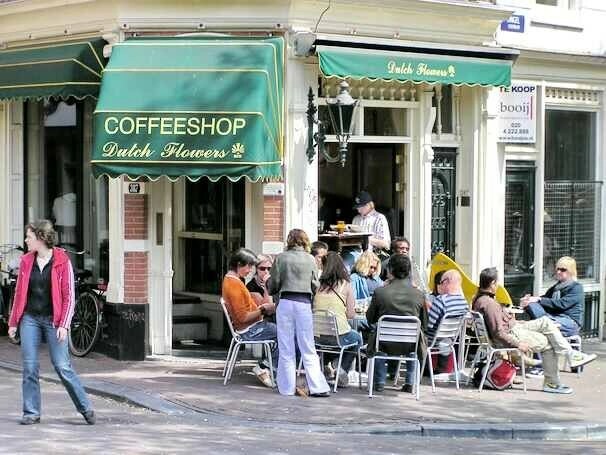 It has to do with another national policy in which the Central Government requires that coffee shops are only allowed to sell to customers who can prove they are citizens of the Netherlands. This policy, meant to combat nuisance caused by ‘drugs tourists’ is still very much in flux. In exchange, van der Laan promised that crime and nuisance associated with the coffeeshops will be dealt with firmly, and that the city will continue to address drug use among underage youth — in part by observing the Federal Government’s national distance guideline. As far back as 2008, the proprietors of 43 coffeeshops located too close to schools were told that they would lose their so-called ‘Toleration Declaration’5 effective January 1, 2012. Due to uncertainty regarding the Central Government’s policies and their effect in Amsterdam, which is home to one-third of all coffeeshops in the Netherlands, that date was later changed — first to January 1, 2013, and later to January 1, 2014. Meanwhile, the total number of coffeeshops to be closed under this measure has been reduced from 44 to 31 because some schools moved, some coffeeshops have already closed, and in a few cases the original distance measurements have been revised. In order to prevent possibly nuisance caused by closing a relatively large number of coffeeshops at the same time, the city has chosen to phase them out gradually, with the last few shops closing by January 1, 2016. The city says it wants to give owners of the affected businesses enough time, attention, and assistance to help them transform their business into something else. 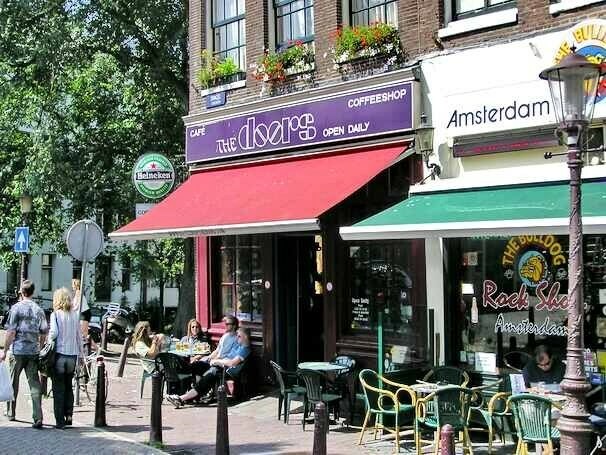 In this the city is applying the same approach as with the two dozen coffeeshops that are in the process of being closed in the center of Amsterdam — primarily in the Red Light District. As part of Coalition Project 1012 — designed to clean up downtown Amsterdam — nine such shops were closed this year. Of these, two are being transformed into lunchrooms, and two will becomes restaurants. Two others already operate as lunchrooms, and another one as a café. For the coffeeshops located within 250 meters of a school, there will be three phases, during each of which a number of them will lose their Toleration Declarations. There will be an evaluation after the second phase in order to measure the consequences of closing these coffeeshops, and of the reduction in business hours. Phase 2: Effective January 1, 2015, the Toleration Declaration of 4 coffeeshops situated within 150 meters walking distance from nearby schools will expire. Phase 3: The Toleration Declaration of the remaining 17 coffeeshops, all within 150 — 250 meters from schools, will expire. Amsterdam daily Het Parool on March 6, 2014 reported that 13 of the affected coffeeshops — all located too close to the Amsterdamsche School at Nieuwezijds Voorburgwal 68 — are planning to buy out that school. However, he also notes that the offer — which he has not yet received — comes quite late. The private school, which provides secondary education to about 100 students, in 2001 moved from nearby Singel canal to its present rental location. That move took about a year, and Roosen points out that he also has a school year to run. Initiator Michael Veling, owner of coffeeshop 420 Café and active as a lobbyist for cannabis retailers, says the plan is serious. At the same time he says that if all 13 coffeeshops participate the problem is solved quickly, “but it is not that simple.” Some of the shops will have to close soon, where others can still remain open for a year-and-a-half. 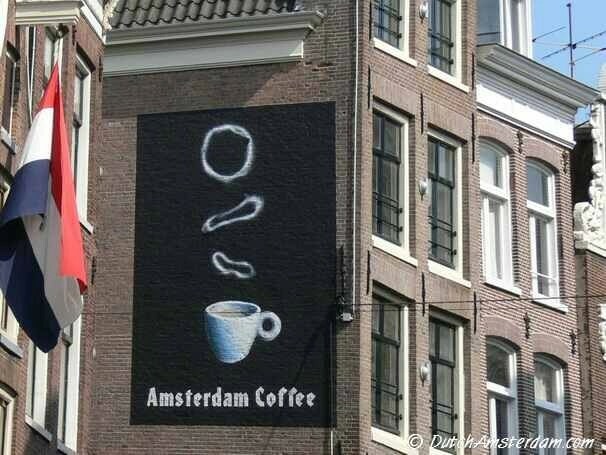 Currently, Amsterdam has 198 coffeeshops — down from 350 shops which, in 1995, received Toleration Declaration. 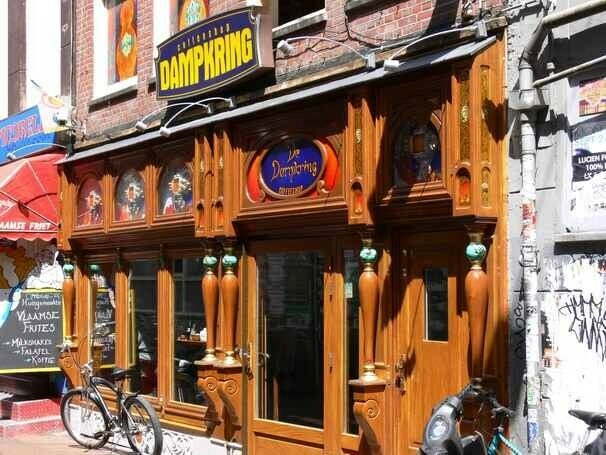 By comparison, the combined number of such establishments currently operating in Rotterdam, Utrecht and The Hague is 93. So… Amsterdam remains the coffeeshop capital of the world. For Dutch readers: Welke coffeeshops gaan sluiten?